With Google Reader about to meet its maker, everyone's looking for a good alternative. Well, Feedly just rolled out an entirely cloud-based version of its reader, which makes it easier than ever to jump the Google ship—and it seems well worth checking out. While you've been able to get Feedly to drag your Google Reader content across to its servers for a while, the reader's now transitioned to become entirely cloud-based. That means that you no longer have to mess around installing plugins or extensions in your browser—you just head to Feedly, hit one button, and your Google Reader is replicated by Feedly right there. It works in pretty much all browsers, too—even IE, grandpa. Of course, Feedly isn't the only solution to your feed reading problems; this blogger in particular finds its graphical leanings a little distracting to work with all day long. But there's no denying that it's a slick service, and just perfect for casual reading. 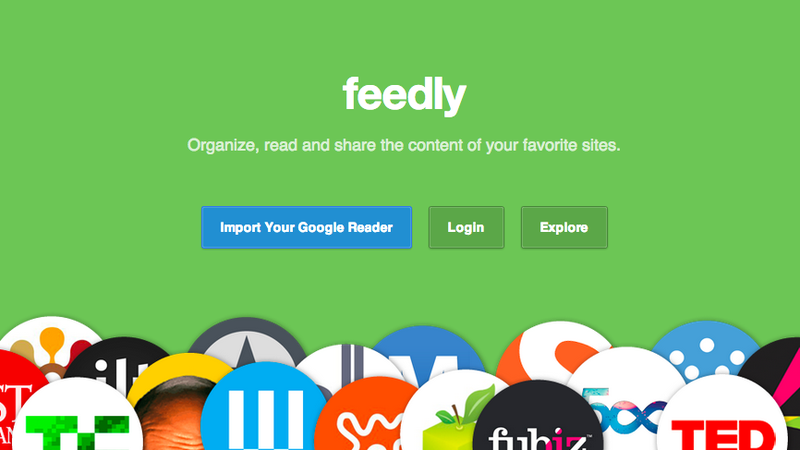 Seems it should be able to cope with demand, too, because Feedly's already processing over 25 million feeds every day, and it also links up with a bunch of new apps to try and make the most of your feeds. They might be worth digging through if you find you enjoy it—so go check it out now.